Oxfordshire Fire and Rescue Service recognises that fires started by children and young people in the home or elsewhere are a cause for concern. Being curious about fire is part of a child's growth process. The majority of fires started by young children are set out of curiosity or experimentation. Potentially, any child could be at risk from playing with fire. What are the aims of Firewise? To help educate children and young people who have either already shown an interest in fire or may be likely to. 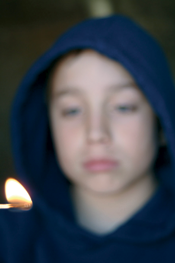 To understand the circumstances which lead to children setting fires. Working with children and young people with their parents or guardians to make them aware of the potential consequences of their actions. To address firesetting behaviours and reduce the likelihood of children and young people playing with fire in the future. What are the signs of fire setting? If you have any concerns about a child or young person, call our Firewise coordinator on 01865 842999. A few basic details will be taken and one of our team will call you back. They will discuss your particular situation and assess what action should be taken. It may be that a selection of literature is enough to educate and warn the child or young person about the potential dangers of fire. However, in most cases a visit by our Firewise Advisors is deemed appropriate. The scheme is staffed by fully trained personnel from Oxfordshire Fire & Rescue Service and is run in conjunction with other agencies across Oxfordshire. Each Firewise advisor has received training in communication skills, child protection awareness and special education needs. The Firewise advisor will make an appointment to visit. The visit would normally take place in the home but arrangements can be made to meet at another location where the young person feels comfortable. The meeting will discuss the dangers and potential risks posed by fire. Two advisors will carry out the visit and will use their personal experiences, photographs and videos to show the child the problems and consequences associated with playing with fire. The duration and number of the visits may vary depending on the circumstances and problems involved. Never assume toddlers or infants are incapable of lighting a match or lighter. Install and maintain working smoke alarms. Discuss and implement a home fire escape plan. Teach your children to stop, drop and roll if their clothes start to catch fire.